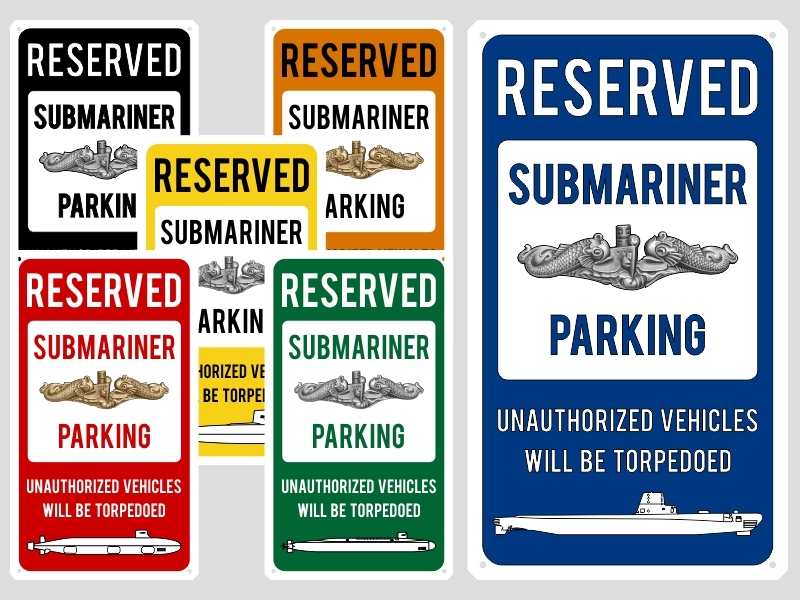 Our Reserved for Submariners Parking Sign is a fun and unique way to mark your territory. 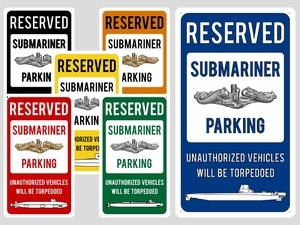 Available in two sizes, each sign is made using heavy gauge U.S. steel and weighs in at nearly two pounds. The colors are matched to the Federal Highway Administration guidelines and standards. These are made to last and make great gifts. The colors are bright and meant to stay that way however, if you plan to use outdoors in direct sunlight, spray with a UV protecting clear coat available from most hardware stores to extend the life of the color.